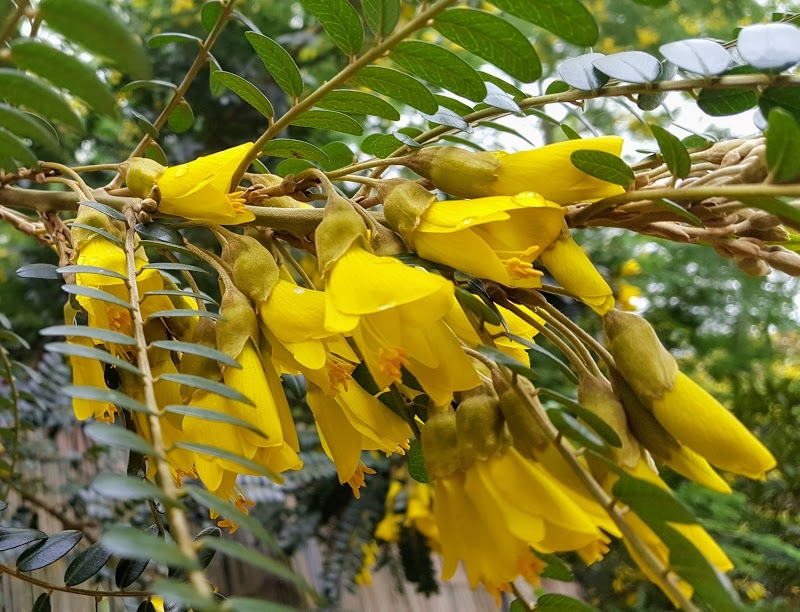 If you are looking for an impressive, early flowering shrub then you will be hard-pressed to find something better than Sophora microphylla 'Sun King'. Native to Chile and New Zealand, is a species from the family Fabaceae which makes it a relative of the humble pea! 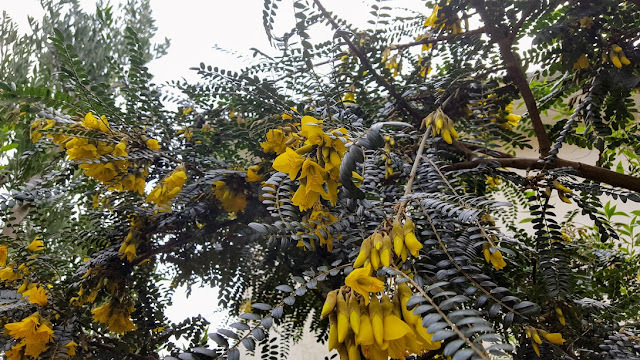 Unfortunately there are no records regarding when the species Sophora microphylla was first discovered but it has been in cultivation since 1772. The cultivar 'Sun King' is an extremely hardy and popular form with a small, glossy ornamental leaves and a bushy habit. Depending on it position it will grow between 6-10 feet in height with a spread of 4-7 feet. It produces large, bright yellow flowers which are borne in abundance over a long period from late winter to spring. These are followed by 6-8 inch long slender pods, resembling a string of four-winged beads. However despite its tough, evergreen looks, its early flowers can put it at risk of damage from frosts. Sophora microphylla 'Sun King' will do best planted in a sheltered position in any well-drained, fertile soil. To reduce the impact of damage from the winter cold keep them protected from north and east winds. Train larger specimens on sturdy trellis work against walls or fences. Sophora microphylla 'Sun King' received the Award of Garden Merit (AGM) from the Royal Horticultural Society in 2002.